I recently wrote about Ibotta’s new partnership with Amazon. Here’s a quick recap: Ibotta, one of our favorite cash-back apps, now offers rebates on Amazon purchases, including $20 back when you sign up for Prime, or 3% to 5% cash back in various shopping categories. These categories ranged from home services and pet supplies to fashion. Admittedly, I kind of scoffed when I read the fashion part. What does Amazon know about fashion? I’ve never had luck finding anything cute. Sure, I hate going to the mall and trying on clothes in dingy fitting rooms. I hate ordering clothes online, too, because nothing ever fits, and it results in returns and pending refunds. But how could I have doubted Amazon? Here’s what you need to know before it comes out of beta testing — and how to get the best deals when you inevitably use it. What’s Amazon Prime Wardrobe and How Does it Work? 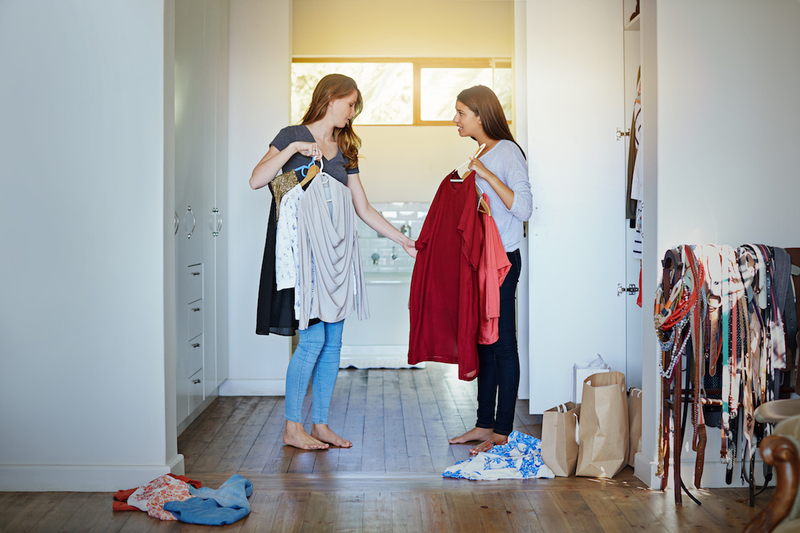 Prime Wardrobe is a service that’ll be exclusively available to Prime members and allows you to “try before you buy,” meaning your card won’t be charged unless you decide to keep something. If you opt to keep three or four items, you’ll get 10% off your purchase. If you opt to keep five or more items, you’ll get 20% off. Choose three or more clothing items. This includes shoes and accessories. Apparently Amazon houses more than a million items for women, men, kids and babies. Once the items appear on your stoop, try ’em on. No horrible florescent lights included. You’ll have a week to contemplate what you want to keep and what you want to return. Then, Amazon only charges you for what you’ve kept! If you decide not to keep anything, no worries — and no payments. On any given day, you can snag a free, 30-day trial to Prime. After that, it’ll cost you $10.99 a month — or you can opt to pay $99 for the year. Right now, you can score a $20 Amazon gift card if you sign up for Prime through Ibotta. That’ll knock your yearly price down to $79. Or consider it this way: You’ll get (almost) two months for free. If you already have Ibotta, simply search for its Amazon deals. If not, signing up is super easy. Plus, you’ll snag an additional $10 welcome bonus, which makes for a hefty $30 back. Once Amazon Wardrobe is released, continue shopping through Ibotta. You can already collect 3% cash back in the fashion category. Want more ways to save on Amazon? Check out these tools. Carson Kohler (@CarsonKohler) is a junior writer at The Penny Hoarder. She thought Amazon’s sense of fashion sucked, but oh how she was wrong!